50°F. Friday will be a rather unpleasant day with rain showers and gusting winds around 35 mph. A severe thunderstorm is unlikely, but not out of the mix. 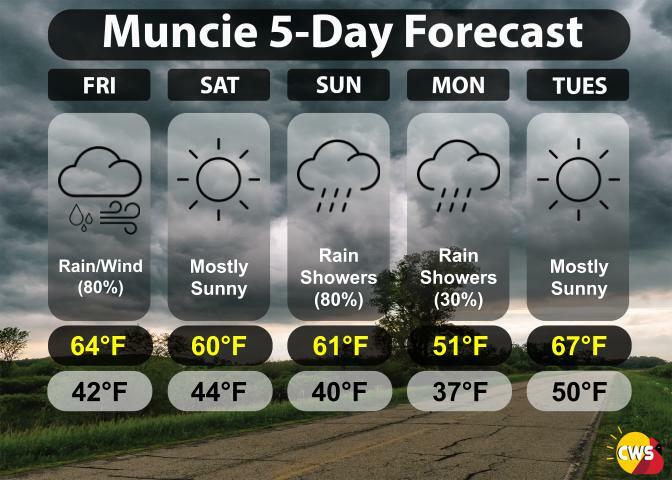 Saturday will provide some relief before rain showers come back into the area and persist until the afternoon on Monday. Tuesday looks promising with temperatures in the upper 60’s and sunny conditions.